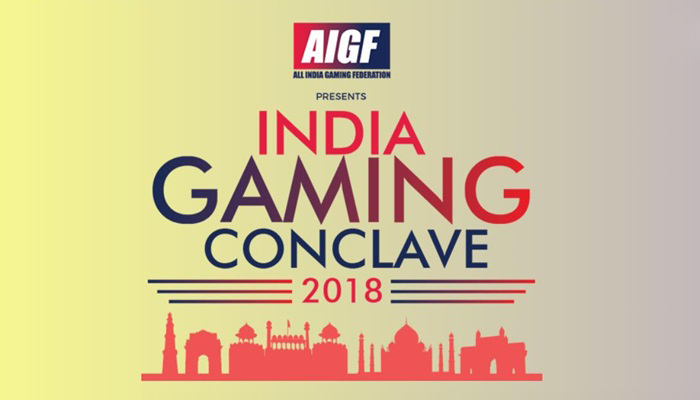 The AIGF (All India Gaming Federation) held the second edition of annual India Gaming Conclave at The Lalit Hotel in New Delhi on 29th May, 2018. The guest of honor was Chairman Law Commission of India Justice (Retd.) Balbir Singh Chauhan. The conclave draw together a distinguished and influential panel of speakers and attendees which includes Mr. RV Easwar (Former Judge of Delhi High Court), Ms. Birgitte Sand (Director of Danish Gambling Authority) , Ms. Gowree Gokhale (Senior Partner, Nishith Desai Associates), Mr. Pranav Bagai (CEO, Poker Sports League) , Mr. Anuj Gupta (CEO, Adda52), and Mr. Ganesh Prasad (Partner, Khaitan & Co.). The objective of the event was to bring together notable gaming industry experts, shareholders, and investors on a common platform and discuss key issues such as legalisation of the sector, investments, responsible gaming, and advertising content regulation. The conclave witnessed the launch of AIGF skill games charter as well as the introduction of AIGF advisory panel which is a self-governing six-member committee. The advisory panel will administer the implementation of “responsible gaming” standards defined in the charter for skill games industry in India. The advisory panel committee includes Justice RV Eswar, Mr. Deepak Dhayanithy(Asst. Professor at The Indian Institute of Management, Kozhikode), Mr. Anindya Ghose (Heinz Riehl Chair Professor of Business at New York University’s Leonard N. Stern School of Business), Prof. Yamini Agarwal (Professor of Finance & Dean Research, Director Designate, IIF Business School), Dr. Sanju George (Senior consultant in psychiatry at Rajagiri hospital), and Dr. Vikram Singh (Ex DGP, State of Uttar Pradesh). Roland Landers, CEO of All India Gaming Federation added, “It is satisfying to have succeeded in putting together good governance initiatives for our members through the self- regulation charters and third party audits that augurs well for the growth of skill gaming industry in India”. The issue of legalisation of sports betting is currently under review by the Law Commission of India. The regulation of skill gaming industry in India will definitely generate direct and indirect employment opportunities and bring huge revenue to the government. It will also help reduce black money circulation in the economy. Through regulating online games, the government can also protect Indian players from becoming a prey of cybercriminals. All India Gaming Federation is a not-for-profit organization headquartered in Mumbai which works for promoting sports activities in India, formulate policies and guidelines for Indian gaming companies to ensure they comply with legal regulations, and find pragmatic solutions of the issues and challenges the industry is facing by engaging with the state and central government bodies.